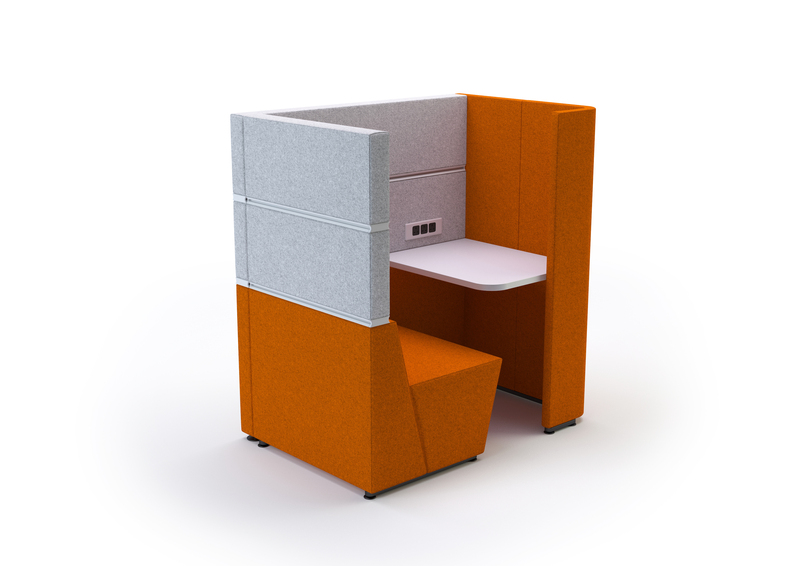 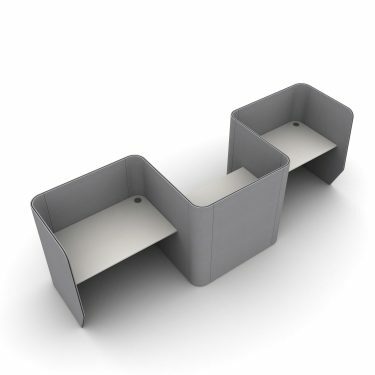 Available in two variants; add benches for shorter periods of work and can be utilised as a phone or video conference booth. 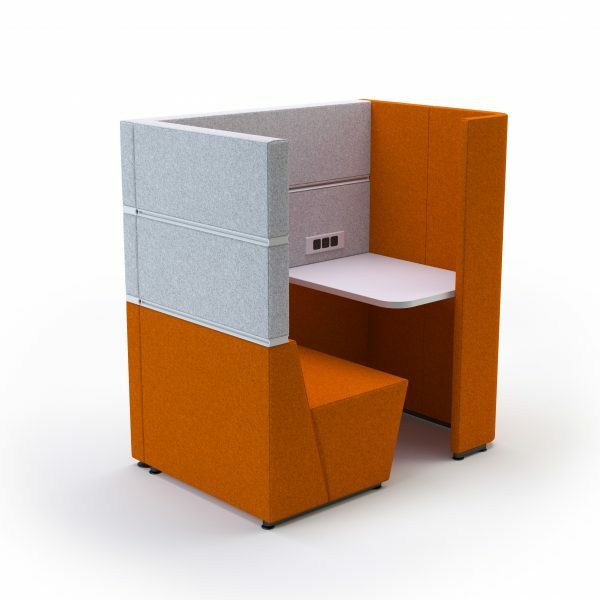 Or remove benches & include task chairs to provide additional isolation and create the ideal retreat, for longer periods of intense concentration. 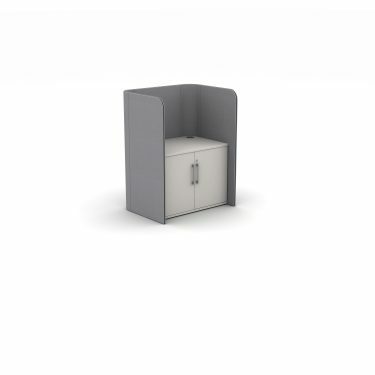 Available with power, data modules & full cable management facilities. 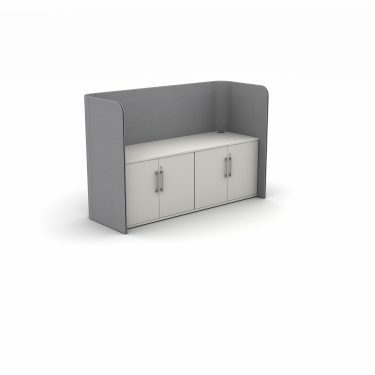 Booths available in both 800mm & 1200mm depths. 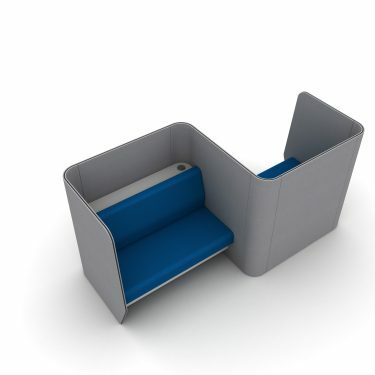 Single booth with bench.